Gaining recognition and success can be challenging for any artist but especially in the music industry. Not only can it be hard for a musician to gain the attention that a ton of pop musicians already have, but in the era of digital downloading and streaming it’s even harder for them to make a buck. A new phone application called Firstage uses the advances in technology to make it easier for up and coming artists to emerge while at the same time putting some money in their pocket. 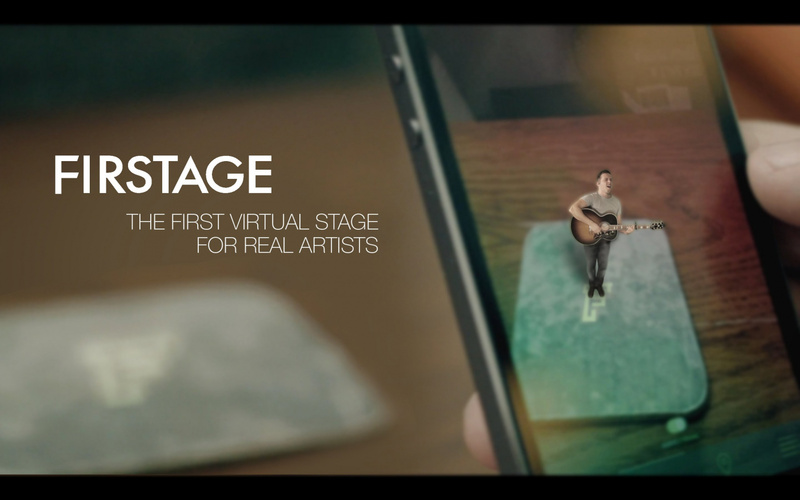 With only emerging musicians on their roster, Firstage allows listeners to watch live performances by these artists in any location at any time using augmented reality. Once you choose who you want to listen to, the app scans where your phone is directed at and then artist appears giving the viewer their own personal “live gig”. Along with the performances already available, the app will soon be able to play live streaming performances. The app was founded by musicians and marketers Neil Harrison and Keith Lawler who wanted to give struggling artists a platform to share their work. To establish a personal connection with the artist and listener, users are allowed to tip whoever they are listening to earning them fan points which unlocks more of their content to enjoy. Another way the app hopes to fund the musicians themselves is by allowing advertisers the option to sponsor the virtual stages they play on. Firstage can be downloaded from Google Play and the Apple Store.